Jenifir Dimo assists in the transactional division of Stewart, Melvin & Frost, LLP. Her practice is focused in the areas of residential and commercial real estate transactions, being well versed in small business lending and government guaranteed loans, including U.S. Small Business Administration closings. She represents clients in a myriad of real estate transactions, including acquisition and sale of properties, conventional and private financing, clearing title issues, sale of retail centers, industrial and franchise sales. Grounded in principles of practicality and service, she aids her clients in every step of the closing experience. 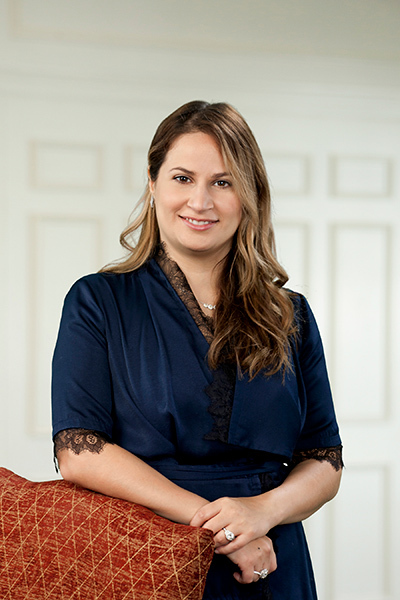 Jenifir received her Juris Doctor, with honors, from Emory University School of Law. In 2009, she earned her B.A. in Political Science and International Affairs from North Georgia College and State University, graduating first in her class. At North Georgia, Jenifir also earned her European Union Certification, which is co-taught with the University of Munich. Prior to her work with Stewart, Melvin & Frost, Jenifir was a CASA Supervisor for the Hall and Dawson County Court Appointed Special Advocate Program, a cause dear to her heart. She is a member of the State Bar of Georgia, the Young Lawyer’s Division of the State Bar of Georgia, and the Georgia Association for Women Lawyers. If you are a small business owner looking for a loan to expand your business, the Small Business Administration offers numerous loan programs depending on your business profile, financing needs, growth plans and so on. Home buying is a complex process and even more so when it’s your first home. No doubt, buying a home will be the largest and most significant purchase you will make in your life. It also involves the law of real property, which is unique and raises special issues of practice. How Do You Qualify to Refinance Your Mortgage?